Serco Group plc (LON:SRP), the international service company, through its Australian subsidiary and as sub‑contractor to Bupa Health Services Pty Ltd (Bupa), confirmed that it will be supporting the Commonwealth of Australia’s Department of Defence through the provision of National Garrison Health Services (NGHS) to the Australian Defence Force (ADF). This is further to our initial announcement of 14 January regarding negotiations to provide these services. The estimated total value to Serco of the NGHS contract over an initial six-year term is AUD1.01bn (equivalent to approximately £560m, based upon an exchange rate of 1 GBP = 1.80 AUD). The contract has up to four one-year extensions. Full operational service under the new contract will begin on 1 July 2019. Under the sub-contract to Bupa signed earlier today, Serco will be responsible for providing essential defence support services across more than 50 bases in Australia. 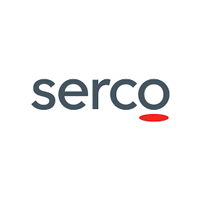 Through a Human Resources Managed Service for primary health, Serco will be delivering recruitment, on-boarding, training, workforce management and various other employee lifecycle, account management and support functions. Serco’s responsibilities will cover more than 1,000 professional staff who will support the delivery of an integrated health care system to over 80,000 ADF members and reservists. Serco’s solution, developed in close partnership with Bupa, is based around a single workforce and HR management system focused on a patient-centric partnership. An end-to-end supplier system, automated reporting and advanced analytics will both reduce costs and support the improvement of the patient experience for Australian defence personnel. Click SRP for the full archive.